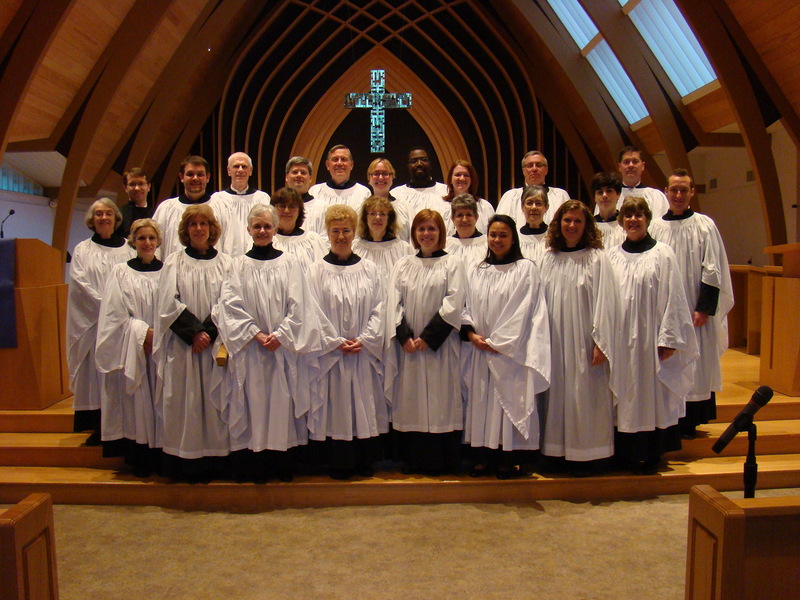 The Saint Mark’s Choir endeavors to sing the finest liturgical music at the highest possible level. Repertoire ranges from the Renaissance to the present day (2016-2017 repertoire list). Composed primarily of volunteers, the choir welcomes adults and high school-age singers who are able to make a firm commitment of time for rehearsals and services. The choir sings for the principal Holy Eucharist each Sunday morning from September to May. 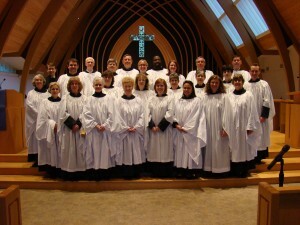 The choir also provides music for numerous special services throughout the year, including periodic services of Choral Evensong, a service of Advent Lessons and Carols in December, Christmas Eve, Ash Wednesday, and the Paschal Triduum during Holy Week (Maundy Thursday, Good Friday, and the Great Vigil of Easter). The group periodically travels, both nationally and internationally. The choir has sung at Washington National Cathedral on several occasions and at St. Thomas Fifth Avenue in New York City. In August 2012 the group served as choir-in-residence at Worcester Cathedral in England, providing music for daily services throughout its residency week. The choir returned to England in summer 2015 to be choir-in-residence for a week at Lincoln Cathedral. Interested singers are invited to contact the Director of Music to arrange a meeting. The Music Program is led by Dr. Matthew Bester, Director of Music, and Tyler W. Robertson, Organist and Assistant Director of Music. The Organist-Choirmaster Emeritus is Gary L. Garber. The Organist Emeritus is Dr. Michael Murray. Persons interested in participating should contact the music office at 614-486-9452, ext. 309. For more information regarding special services and concerts at Saint Mark’s, please see the complete schedule for the 2016–2017 season of the Saint Mark’s Music Series. If you are interested in receiving periodic communications regarding the musical offerings at Saint Mark’s, we invite you to become one of our Friends of Music at Saint Mark’s. The Special Music Fund supports the music ministry, including instrumentalists for festival services during Easter and Christmastide. Contributions are warmly appreciated, and may be made online HERE. Recorded live during Choral Evensong at Lincoln Cathedral, England, on 31 July 2015. Matthew Bester, conductor, and Tyler W. Robertson, organist. Recorded live during Choral Evensong at Lincoln Cathedral, England, on 27 July 2015. Matthew Bester, conductor, and Tyler W. Robertson, organist. Recorded live during Choral Evensong at Lincoln Cathedral, England, on 28 July 2015. Matthew Bester, conductor.